When it comes to spelling baby names, parents can find themselves surprised. Surprised that there’s more than one way to spell Chloe or Dylan. Baffled when others pronounce a name differently. Astonished that the spelling they’ve chosen causes raised eyebrows. If you’re stumped about which spelling to choose – or astonished that spelling has become a concern – here are some important points to bear in mind. If you’re not sure how to spell your child’s name, choose the dominant spelling. Notice I didn’t say correct spelling. It’s easy to argue that Caitlin feels more authentically Irish than Kaitlyn. But Kaitlyn has dominated the US popularity rankings over the past few decades, while Caitlin has become rare. Still, if you’re struggling to choose a spelling, the most popular choice remains the safest option. Head over to the US Social Security baby names site, and read through the current Top 1000 until you find the answer. Not every comes with a dominant spelling. Sure, one spelling ranks higher. But the difference between Elliot and Elliott is slight. Jackson, Jaxon, and Jaxson all appear in the US Top 100. It makes life easier to be Avery instead of Avarie. But when several forms of the same name are very close in popularity, the benefits of choosing a dominant spelling fade. 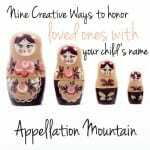 Likewise, modern names with an invented feel – the Jaydens and Kaylees – invite creativity in spelling. I would never assume I knew how to spell any of those names, even though I can tell you that Kayden is much more common than Caiden, and Aiden outranks Aydin. To complicate things even more, the most popular spelling changes over time. Zoey outranks Zoe, but that wasn’t always the case. Go back farther in time and Lillie once dominated Lily. At other times, the dominant spelling might not seem intuitive. Jason appeared in the US Top Ten for more than a decade, but it’s Jace with an ‘c’ that proves most popular today. Names that fall into this category tend to be a little more confusing. While there’s really one way to spell Alice or George, Mackenzie and Bodhi present parents with options. If you love the name more than the potential confusion, go forward with confidence. But if hearing “How do you spell that?” makes you cringe, factor that into your choice. A phonetically transparent name is spoken-as-spelled and easily pronounced from alphabetic notation. Creative spellings work when they stay within the bounds of phonetic transparency. Which means they work best when the changes are relatively minor. I know how to pronounce Jaymee and Lauryn, even if I expect to see Jamie and Lauren. Change too much, though, and you sacrifice phonetic transparency. I would have to look at Jaymeigh or Laurynne closely, and I would probably wonder if the parents were hoping for a different pronunciation – or a different name entirely. Transform the names even more – Jaemii, maybe, or Lahrin – and I’m lost. Two caveats. First, lots of popular names in American English fail the test. Why is Michael spelled with an -ael? Traditional, wildly popular names get to break the rules. Second, it’s worth asking phonetic transparency in which language? Irish imports like Saoirse puzzle Americans; so do Igbo names like Ngozi and Polish ones like Zbigniew. And yet, that doesn’t mean they can never be used as is. Heritage matters, and while families often look for names that cross cultures with grace, there may be reasons to choose the more difficult name. That said, parents should understand that the name will present difficulties to native English speakers. I can’t say Zbigniew quite right, despite having a beloved uncle by the name. I’m forever amused to hear how others say it – it’s quite the tongue-twister! 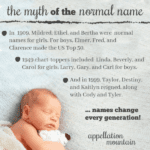 Spelling Baby Names: Masculine and Feminine Forms? 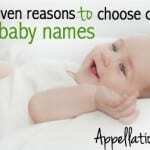 One intriguing reason to respell a baby name is to make a masculine name more feminine. Lochlan becomes Locklyn. Marley ranks for boys and girls, but Marleigh only appears in the girls’ column. Girls and boys are named Jordan, but Jordyn has become the dominant spelling for girls. My sense is that changing spelling to denote gender typically fails. That’s because we experience our names as spoken so much of the time; we often hear a person’s name before we see it written. It’s also true that Jordyn is used for boys at least some of the time. A name like Locklyn might appear just plain unusual, not necessarily feminine. Of course, plenty of parents just plain like this style. Laura Wattenberg dubbed it “andro-girly.” So embrace the style if you like it, but know that Emersyn might still be mistaken for a boy some of the time. A second reason to respell? Clarifying the desired pronunciation. This works some of the time, but only some. Karilyn feels like a very different name than Caroline, and I’d pronounce it accordingly. But Carolyn? I’d guess most people see Caroline and Carolyn as interchangeable, not two separate names signifying distinct pronunciations. It can also lead to to tortured respellings. Ahlyvia for Olivia. Ondreya for Andrea. Because parents do respell names to signify pronunciation changes, it makes it even more likely that we’ll pause and wonder if Mychal is Michael, Michelle, or some other name entirely. But it gets even more complicated, because sometimes the spelling signifies nothing and Mychal and Ondreya are Michael and Andrea. If there’s one hard and fast thou-shalt-not on this list, it has to this one: avoid novelty spellings. Kneena for Nina. Kviiilyn for Kaitlyn. Airwrecka for Erica. Yes, it’s possible to understand the name, even with the spelling. But it’s so far removed from what we expect to see that it crosses a line. It’s the spelling for a heavy metal musician’s stage name, a Twitter handle, a monster truck. Where’s the line between novelty spelling and needless complexity? It’s fuzzy. I’d put Jaxx and Eighmei – Jax and Amy – just barely on the right side of the line. But others would argue that doubling the letter ‘x’ or spelling a long a like the word ‘eight’ does take the name into novelty territory. What if your great-grandmother was Nina, spelled Kneena? I suppose might be reasons to preserve spellings from our family trees, even when they’re idiosyncratic. But, as with a complex heritage choice, it’s worth thinking long and hard about the benefits versus the drawbacks. Spelling Baby Names: Do They Really Transform a Popular Name? On one side of my family, three sisters all have their first or middle names respelled to include the letter Y and a double L, in tribute to their father’s unusual name. They’re not unrecognizable – think Ellyn. The spellings are like a secret, a tie from father to daughter that makes the names more meaningful – and perhaps a little more difficult to explain. Respelling popular names can connect a name to a family tradition. Maybe you’re Quin, not Quinn, because everyone in your family has a four-letter name. And we all know why Khloe and Kourtney spell their names with Ks. In other words: spelling baby names differently may transform a name within a family tradition, but it probably cannot make a popular name feel less common. If you’ve respelled your child’s name to make it stand-out, it can be disappointing to realize that the respelled name is actually more common than you’d ever guessed. The math works like this: there’s really only one way to spell Harper or Charlotte. But Sophia carries Sofia on its back, and four spellings of Emily rank in the current Top 1000. There are dozens of Ella-Ellie names, lots of Addies, so many boy names related to John and Jack, and all of those -aidens are still running around, too. For parents, that means that a common sound can render a name far more popular than the numbers suggest. Briella and Breanna seem part of a club that’s been growing for years. But nothing really sounds like Daisy – which means that Top 200 Daisy becomes the more distinctive choice. The same is true for Harper and Charlotte. With boys’ names, it’s even tougher to puzzle out, because it’s less about Isabella/Isabelle/Isabel and more about name endings. The -aidens and the -axtons are sometimes less obvious, if only because they’re not listed right next to each other in the baby name book. Sometimes the comments seem snobbish, even downright rude. But here’s an important rule of thumb: the more creative the spelling, the less sophisticated the name appears. Whether that matters is up to you, and I’ve met professionally successful people with names that would fail this test. But generally speaking, Ashley ages better than Ashli or Ashlee, and Xavier over Xzavier. What are your thoughts on spelling? Are there rules that you stick with when spelling your children’s names? I wish I had read this article prior to now to try to get some input. It’s a bit late now, but I’m a little curious as to your opinion on spelling Ewan/Euan as “Yewan”. 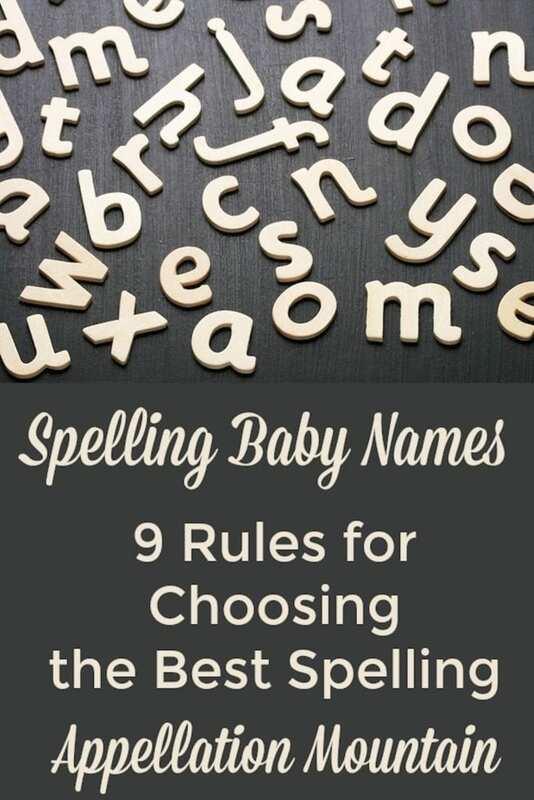 I posted in a local mom group to see how the majority would pronounce the popular spelling options, and was SO disappointed to see so many responses of Eww-an and E-wan (same sound as Ewok). Many actually got Euan correct, but my husband didn’t like it for fear of it being read constantly as the more common name Evan. We felt that we were spelling phonetically to help with pronunciation (which was a little tough for me at first, I HATE the idea of changing the original spelling in most instances). I think what made it easier for me is that Ewan/Euan means “of the yew tree”, and placing a Y at the front of the most popular of the traditional spellings puts the word “yew” right in the name. I’m just curious about feedback. Did we stray in our thinking? As much as I have fallen in love with it, will others see it from our perspective? What about an awesome name that’s actually made up? That’s a tough one, because Juna lacks the connections to Djuna Barnes. I’d be tempted to tough it out on that one, even if it means explaining, “It’s D-j-u-n-a, but the D is silent. I’m named for …” forever and ever. If that doesn’t appeal, Juna works just fine. AND I can imagine Juna being mis-read as Juana, too – any unfamiliar name causes confusion sometimes. (Meet my daughter Clio. No, sorry, NOT Chloe. Clio!) But it can be worth it. Based on the Facebook conversation, most people are saying Juna, no D. The problem is this: I’m fairly extroverted, and would cheerfully explain a silent D in my name. Forever and ever. But would this be a burden for a shy kid? I can’t tell … My kiddo is pretty shy, and I saddled her with Clio – which doesn’t seem to be a problem. But I wonder if Djuna is in a different category? I would like to know the on going opinion for the up and coming Cornish name Elowen. This fits all these elements being also spelled Elowyn for femininity and pronunciation. Also has the kreative Ellowynne spelling, Ellawin, Ellowenn, etc. I prefer Elowyn using the “y” as all our names include one and I think it makes the spelled as sounds argument. So that puts it in the family name category as well for me. I would definitely go with the original Elowen — Elowyn works if there’s a family reason, but it doesn’t really clarify pronunciation as far as I can tell, and it makes it look rather close to Tolkien’s Eowyn. I’m an advocate for original spellings- I much prefer Caoimhe to Keeva, for example, even though Keeva would probably be less confusing for Americans. And I think changing name spellings to denote gender (Jordan to Jordynne, for example) is rather sexist. I actually just wrote a post about it on my blog. I think Gaelic names occupy a specific place. They rarely have accepted English equivalents. Some, like Keeva/Caoimhe have an obvious phonetic spelling, but others, like Saoirse, are more difficult. Not sure what I’d do in that case, but I think preserving the original spelling often makes sense if it’s just completely unknown in English. Otherwise you end up with an awkward phonetic spelling and possibly still have pronunciation challenges – worst of both worlds! I’m thinking more of situations like naming your son Aleksandr after his Russian grandfather Aleksandr, when Alexander would be the more conventional English spelling. You’d have to consider the trade-offs between the more authentic spelling and the one that is far more familiar and expected.